Connect with the spirit through yoga and meditation. 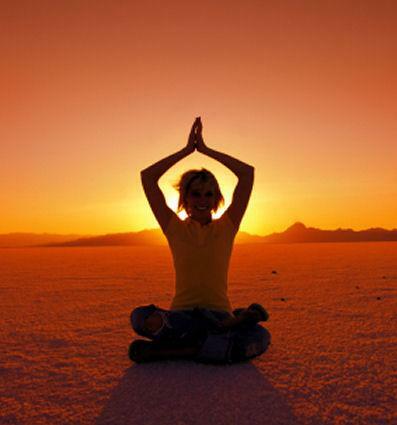 The principles of Ophanim yoga are rooted in deep spiritual meaning. Sometimes referred to as Jewish, Torah, or Kabbalistic yoga, the practice is both a movement exercise and a meditation. Ophanim yoga postures follow the structure of the Hebrew letters. In the Kabbalah belief system, each letter holds a unique power, because each symbol has an individual meaning. Some believe in the Sefer Yetzira teachings that the Hebrew alphabet holds the secrets to all creation. Many of the postures closely resemble the asanas of traditional yoga. The spiritualists point to the similarities between Indian and Asian yoga practices and Kabbalah yoga as proof of one origin, and a desire to be in the light of God. Yoga means to unify or yoke; the Hebrew equivalent of the word is yichud, or unification. Learn more about the Kabbalah. Ophanim yoga is performed in a sequence of sections. The belief is that there are specific poses each day and month. Day postures correspond to the precise positive energy at that time. Monthly postures relate to a particular part of the body or soul. A practitioner rolls through an exact set of postures that maximize the energy of that moment. In this section, yogis perform certain postures facing east. The rationale is that every posture has a certain space it occupies and thus, yogis must perform them in a specific way to achieve the most benefit. This is the time to connect with the breath. Many yogis are familiar with the incorporation of breath during a practice, but Ophanim yoga uses a different rhythm, known as the ten-five rhythm. Inhale through the nose to a count of ten. Exhale through the nose to a count of five. Visualization is key during this section. The Kabbalah teaches that a yogi must cycle through areas of the body, also known as the Tree of Life during this portion of the sequence. As with any other yoga practice, the breath moves through the body as well as propels the body into motion. There are many forms of media available to help you gain a better understanding of this practice. Kabbalah Yoga - Ambitious Beginners and Kabbalah Yoga - Attainable Advanced both star instructor Ariella. Both DVDs express the specific viewpoint of Kabbalah yoga, with the beginner's version accommodating first-time yoga practitioners that easily introduces the spiritual concept. Kabbalah Yoga: Creating Your Own Fountain of Youth by Yvonne Dayan explains the Kabbalah philosophy and includes a 20-minute yoga routine. Torah Yoga: Experiencing Jewish Wisdom Through Classic Postures by Diane Bloomfield is a book merges Torah teachings with conventional yoga principles.